QUIZ: Which Male K-Pop Idol Will Lend You His Jacket When You Are Cold? Which Male K-Pop Idol Will Lend You His Jacket When You Are Cold? Q1. What would you want your boyfriend to give you to keep you warm? Q2. What would you do by yourself during a cold day? Q3. Which cold dessert would you want even if the weather is cold? Q4. Which soup sounds the most delicious to you? Q5. Which girl group is one of your favorites? Q6. How would you try to impress the person on your first date? QUIZ: Can You Match The 2018 Drama With The Screenshot? QUIZ: Who Of Hyeongseop x Euiwoong Would Be Your Boyfriend Style? QUIZ: How Well Do You Know About Wanna One’s Kang Daniel? 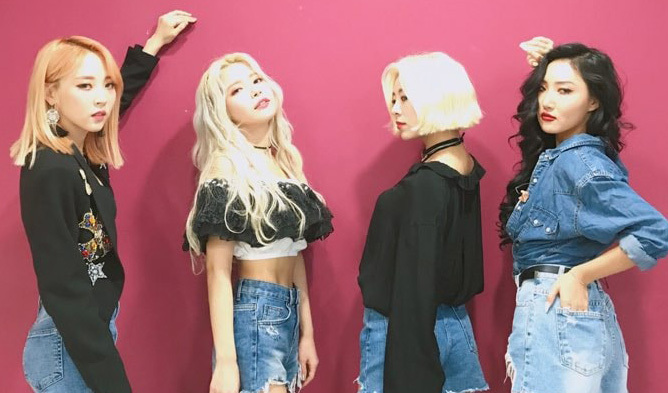 QUIZ: Which MAMAMOO Member Are You? QUIZ: Which Member Of Wanna One’s Unit Triple Position Will Try And Win Your Heart?